World of Tanks is a free-to-play (F2P) massively multiplayer online (MMO) team based action game featuring WWII era tank combat. 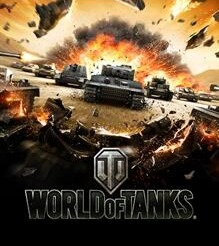 World of Tanks (WoT) is a free-to-play tank combat game based during early WWII to early cold war eras. Containing American, British, German, French, Chinese, USSR and Japanese technology, players jump into random battles and fight together in Last Team Standing/Base Capture hybrid matches. Gameplay elements include Sim, Action, RPG, and Strategy. Core gameplay consists of two 15 player teams fighting one another in a death match. The team who either destroys all of the enemy tanks or captures the enemy base is the winner. Teams are made up of Light Tanks, Medium Tanks, Heavy Tanks, Tank Destroyers, and SPGs. The game also has some sim game mechanics, including: armor penetration, different round types, camouflage and ambushing, tank weak spots, inaccuracies while moving the tank/turret, and more. Before you jump into a game, you select the tank you want to go into battle with at the garage screen. In the garage, you can look at your tanks, buy new parts (modules) to put onto them (this includes cannons, turrets, radios, engines, and tracks) as well as new tanks, manage your tank crews, research new technology and tanks, chat with other people, check profile statistics, and lastly repair any damage on your tanks and resupply their ammunition. In each battle, you gain experience and credits from a variety of different factors, including scouting enemy tanks, damaging and destroying enemy tanks, contributing to capturing the enemy's base, and more. Tank crews also receive experience after every battle, making them more proficient at their job. Once the crew gains enough experience, they receive access to a set of skills and perks, which improve a specific attribute including, but not limited to, repair speed, vision range, accuracy, and damage. Tanks are split up into 10 tiers and five types. Each player begins the game with a Tier I Light Tank from each of the seven nations currently represented in the game; The United States, Germany, France, The United Kingdom, China, Russia (USSR) and Japan. Light Tanks are the first type of tank you will drive. They are often referred to as scout tanks or "scouts". They can be the fastest out of any tanks in the game with the best maneuverability. Because of this, though, they generally have rather light armor and weaker cannons. Light Tanks are best used for discovering enemy positions and flanking enemy SPGs and Tank Destroyers. Medium Tanks have a solid mix of maneuverability, speed, armor, and firepower. They are at their strongest when in packs, swarming enemy flanks and the more sluggish heavy tanks. Slow, heavily armored, and with powerful cannons, Heavy Tanks are a force to be reckoned with. Heavy Tanks are ideal when leading an attack against an enemy position and soaking up shots while dealing out damage. Tank Destroyers are a defense-oriented tank. They tend to have average to strong frontal armor with stronger cannons, but no turrets, making them ideal for long-range sniping or ambushing. SPGs, or Self Propelled Guns, are the backbone of a tank force. Able to lob powerful shells at long range, SPGs can turn the tide of battle if a skilled player is behind the wheel. Premium tanks are specific light, medium and heavy tanks, that you can buy with the in-game currency, gold. These tanks are equipped with parts that are elite status, so you can enjoy the full power of the tank right from the start. They are generally stronger than stock (non-upgraded) tanks of their tier, but weaker than fully upgraded tanks of their tier. There are currently three game modes, each putting a different spin on team deathmatch and base conquest style game play. The matchmaker assembles two teams of 15 and then randomly selects a map and battle type (if the map has multiple types associated with it). Each battle begins with the opposing teams on opposite sides of the map. Standard battle is the original battle type, formerly known as "Random Battle". In this mode, each team must capture the enemy base or destroy all the enemy tanks before 15 minutes expires to win. Each team is assigned a role as either attackers or defenders. In this mode, there is only one base. The attackers must destroy all the defending tanks or capture the base before time expires to win. The defenders must destroy all the attackers or successfully defend the base for 10 minutes. In this mode there is a single capture point in somewhere along the mid-point of the map towards one of the map's borders (i.e. not dead center). Each team spawns along the opposite border in opposite corners of the map. Each team must destroy all enemy tanks or capture the base before the 15 minute timer expires. Clan battles is a browser-based add-on. You and your clan get to fight for the different provinces on the political map. To enter this mode you need a clan with at least 15 people. 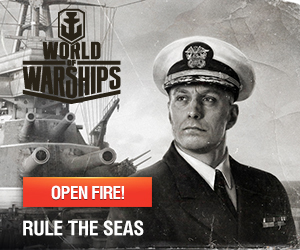 Each player that has taken part of a battle of tier 5 or above is represented by a token. The Clan leader uses those tokens to attack provinces and other clans. The Clan Wars are turn-based, each turn lasting a set amount of time. You and your clan will be able to join with other clans to form an alliance, or you can provide your services to other clans as mercenaries. The entire world will be available to conquer eventually, but as of now only Europe is available. Each province has a certain gold value associated with it, and this amount will be paid out to the occupying clan's members every day, making this an alternative way to acquire gold rather than paying for it. In a World Of Tanks, Have Pilots Become Obsolete?